A Melbourne-based company has been awarded a global supply contract with aeronautical giant Airbus. Under the new contract, Cablex will manufacture and supply electrical harnesses and bays for ARH Tiger and NH90 helicopters. Cablex has worked with Airbus for more than a decade, providing electrical harnesses, avionic bays and platform integration services for the NH90 and global Tiger platforms. 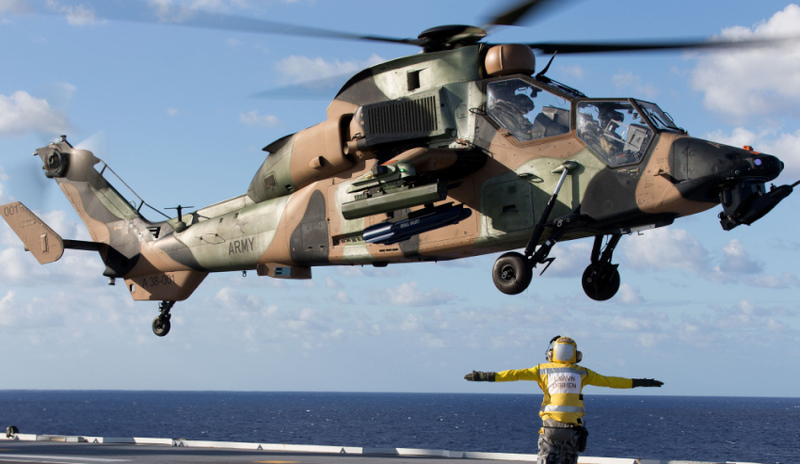 Under the original Australian Industry Investment for the Australian Army ARH Tiger program, Cablex became a critical supplier of electrical harnesses and this continued for the MRH90 Taipan fleet. Earlier this year, the company was awarded an Airbus Helicopters Supplier Award, honouring the SME as the best global supplier for industrial performance across quality, schedule and total costs. Airbus Australia Pacific managing director Tony Fraser praised Cablex for its contribution to the global Airbus supply chain. "We are very proud that the Cablex high-quality, Australian-manufactured electrical harnesses are in the Australian Tiger and NH90 Taipan helicopters, and also, through our Airbus supply chain, fitted in other helicopters and aircraft," said Fraser. "This Australian SME is a globally competitive company important for Australian defence industry and Australian jobs." Founder and chief executive of Cablex Michael Zimmer said the awarding of the contract is a great example of the SMEs working relationship and high level of collaboration between the two organisations. The contract comes after Cablex recently expanded its operations into Europe, opening a new office in Warsaw, Poland. The company said the decision to expand was largely due to the growing market opportunities since Poland embarked upon an ambitious armed forces modernisation program, with the government planning to spend $45 billion over the next decade. Poland's large aerospace sector was the main reason Cablex set up its new office in Poland, with many major global players already established in Aviation Valley located in southern Poland, including Sikorsky/Lockheed Martin, Leonardo, Airbus, Safran and Pratt & Whitney. "The office will focus on providing mechanical and electrical systems solutions for the aerospace and defence industrial sectors while also servicing local and international customers," said Zimmer. “We see enormous benefits for our international customers with the new site being in close proximity to their supply chains in Europe."